Navigation City of Ashland	Administration Personnel Administration Public Art Why Public Art? What is Public Art and why should Ashland want it? Public art is a gallery without walls accessible to all. Public art is seen everywhere when traveling abroad, or to a big city in our own country. Art in the public realm heightens our sense of place; it draws us in and causes us to interact in a variety of ways. While public art in these other places is evocative, I often hear it is not something we need, or should have, here in Ashland. Public Art has been around a long time and has stood the test of time. 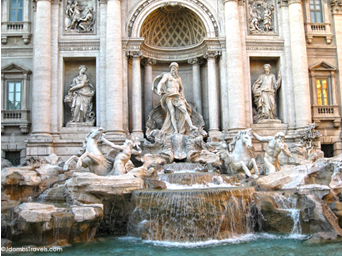 Over the centuries public art has shown the capacity to evolve from Lascaux’s cave paintings to monumental sculptures like Rome’s Trevi Fountain. More recently, forays into interactive LED light designs continues a long history of change and the perception of what constitutes public art. The creative properties of art in the public realm takes a mind blowing range of differing forms. 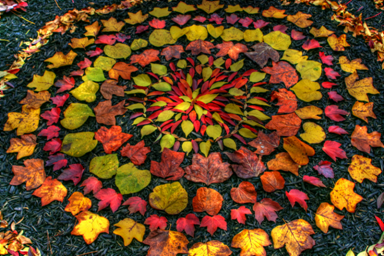 Public art includes temporary aesthetic interventions, like Christo and Jean Claude’s monumental wrapped pieces, or ephemeral art as in Andy Goldsworthy’s autumn leaf placements. Public art can be two dimensional, such as murals, interactive, or performative, as in an impromptu flash mob. Whatever the form, public art has the ability to enhance the experience of a place. Public art sculpture is a permanent object in space. The term “creative place-making” is a descriptor that captures what public sculpture can do. Art develops a critical sense of place where one is able to gain their bearings while traversing a city. These sculptural forms start a visual dialogue between a city and the public. While playing a role in defining a city, public art also becomes a conversation piece and visual keepsake. Public Art helps builds recognition for a city. The ability to generate interaction with or reflection about a place is part of the power of public art. Public art can be as important as architecture in a city, adding another layer to identity, cultural resonance, and visual landscape. This is not to say public art is without controversy. An example is Chicago’s Untitled Picasso cubist sculpture, installed in 1967. Living in the Chicago suburbs and in my teens at the time, my parents, as well as a very large contingent of Chicagoans, were appalled and offended by this modernist “horsehead”. However, after the initial controversy and some passage of time, a sense of acceptance crept in. 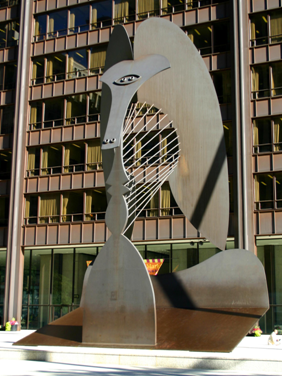 Today, Chicagoans see the Picasso as part of the cultural fabric of the city and is a much loved art piece. The Picasso sculpture served to engage residents of my conservative Midwestern hometown in a dialogue about the value of public art contemporary to its time. In the long run, the initial turmoil served to direct a new focus and future for this “architect’s city” as home for many contemporary public art pieces. 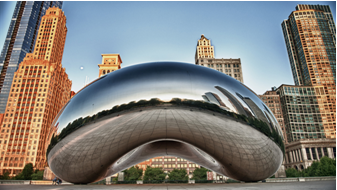 This sculpture alone has heightened the perception of Chicago as an important cultural destination. While Ashland is a small city, it can also benefit from an ambitious public art program.